Liverpool is ranked 5th in the UK retail rankings. 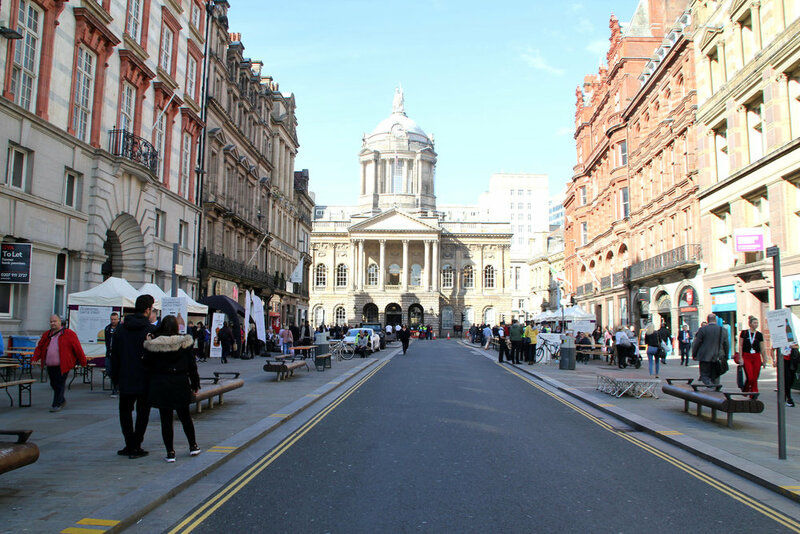 Total footfall for Liverpool City Centre is 75 million per year. Fastest growing city centre population in the UK. Promote in Liverpool manages 12 prime sites across Liverpool city centre. 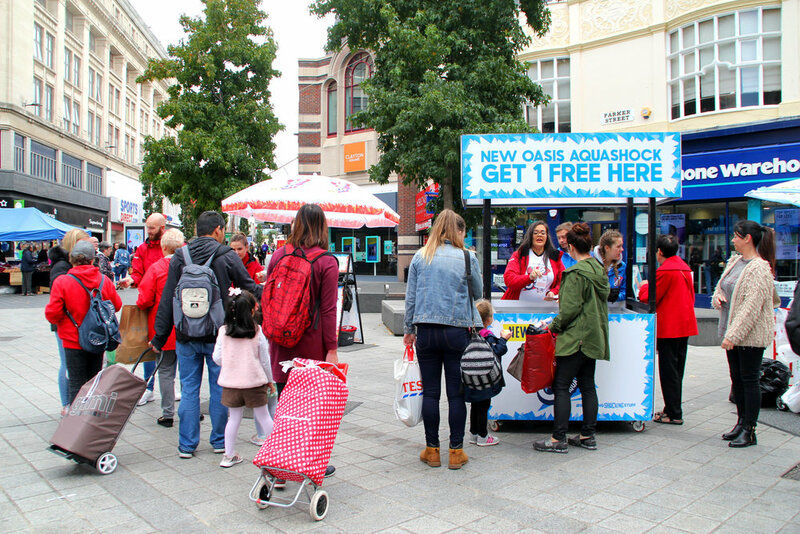 Established promotional locations with an existing relevant footfall to unique environments created for impact that resonates with a specific audience. Free administrative support with legal documentation and expert assistance on travel and leisure. Discount for block bookings can be discussed. A creative area that holds realms of authenticity. Located on the busiest street in the main shopping area, and attracts daily commuters, local and national shoppers. Located on the main walkway between the main train station and retail area. Located between two extremely busy shopping districts, and an area that attracts local and national shoppers, students, plus economic and cultural tourists. Castle Street lies within the Commercial district. The sites are surrounded by beautiful architecture and there is opportunity for the brand to be creative with their campaigns. A continuation of Church Street, and attracts daily commuters, local and national shoppers. Located alongside a busy bus station and extremely high footfall during peak times. The main walkway between the busiest bus station and retail area, and attracts daily commuters, as well as local and national shoppers.